In today's global economy, this book is a must-read for anyone looking for an insight into Eastern management philosophy. Akio Morita needs no introduction. A legend in his lifetime, he founded Sony, one of the most powerful and respected multinational corporations in the world. 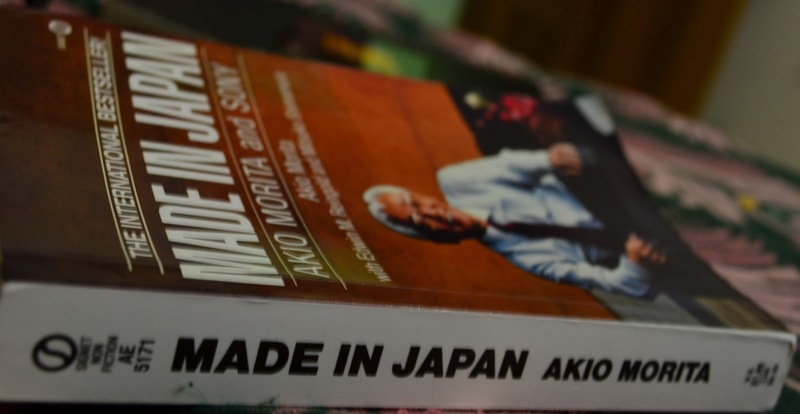 This book is an autobiography of Akio Morita and it goes hand in hand with the story of growth and expansion of Sony as well as post World War II Japan. This is a story of young Japanese who dreamt of a great company and went on to establish one with his exceptional vision and intuitive ability. Many of us know the anecdote of how Sony's marketing team was not convinced of the viability of the idea of a device, which can play music when you play Golf and ignoring them Akio asked his Engineers to go ahead. Yes, we know that device by the name of Walkman. The book starts with the Post World War II Japan, wounded psychologically and physically by the one of the biggest tragedies mankind has ever faced. The problems of rehabilitation, unemployment and recession, then reconstruction, the weakening of 'Zaibatsu' (the family owned Conglomerates) and strengthening of democratic style of management in companies, which helped many more Japanese corporations to come up, is explained beautifully. Akio talks of the Japanese society and culture. The conservative and strong family-oriented culture reminds of the common Asian heritage we share with Japanese Society. This is really appreciable that such society can grow so advanced scientifically and technologically that it has not only challenged the countries traditionally considered powerhouse of industrial revolution but also taken a lead in many industries. This book talks of the initial days of Sony in US market, initial problems and numerous complicated lawsuits it had to face. Then, finally being successful in creating a strong brand "Sony" in the US market. This book tells of Akio as a person and family man. He proves that to have a successful career, you do not need to sacrifice family life. He says at one place that he thought of Sony as one of the children he has to raise. He comes across as a diehard believer in simple living and high thinking. He wittingly tells the difference between a rich man and a wealthy man to a European lady who refers him a better jeweler's shop for his wife. Akio believed in deep-rooted Japanese philosophy of "mottainai", which emphasizes on being skilled and efficient in using resources economically. It is wonderful to know how Japan is so successful despite being a nation with little natural resources. May be that is the reason for inventing smallest and at the same time powerful devices. This book is a door to understanding Japanese management philosophy and work ethics. Akio in his lifetime made sure that he gets chance to address each new batch of fresh recruits into Sony on the company philosophy and tell what is expected out of them. He created a company culture of `employment for life-time' which he believed helps getting total loyalty of employees. 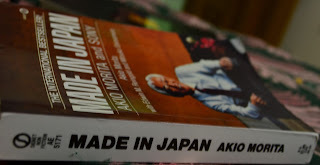 Akio was from the generation of Japanese entrepreneurs who not only created value and wealth for his company but was able to make `MADE IN JAPAN' brand famous across the world. and this book tells how he did. This seems a wonderful read especially for those who want to make a mark as an entrepreneur. It is also inspiring to read about the exceptional people who make history.